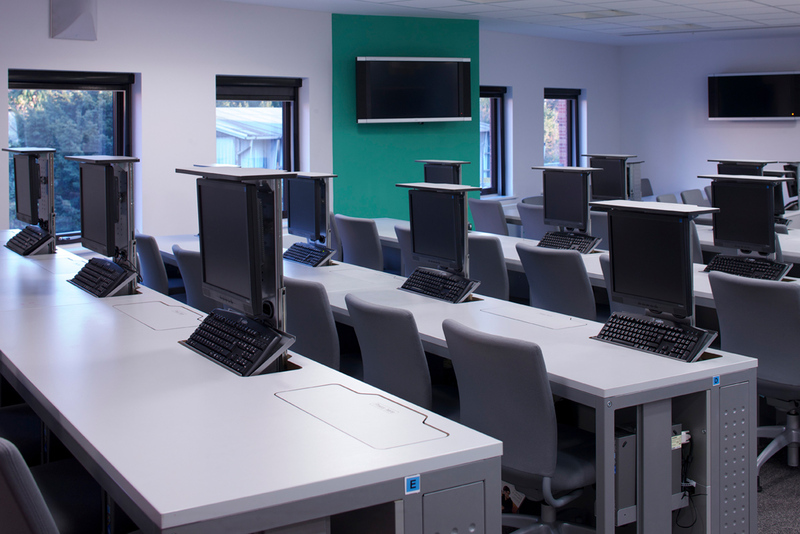 Exeter wanted to provide the best possible learning environment for its students in Sport and Health Sciences, and Medicine and Dentistry students from neighbouring Peninsula College. 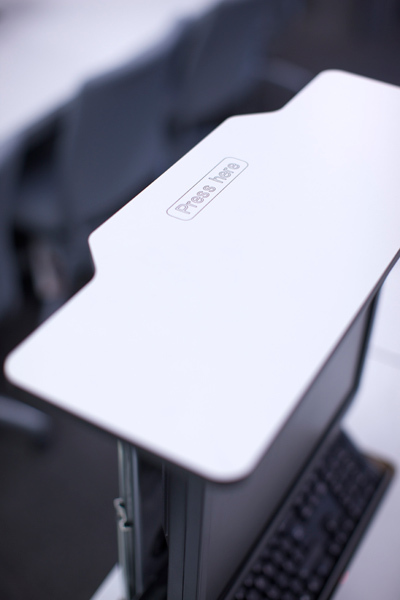 zioxi installed 100 M1 desks with integrated IT hardware (press the top panel and IT hardware rises vertically from within, instantly converting a standard desk into an IT workstation) to deliver a high-performing, multi-purpose IT suite. 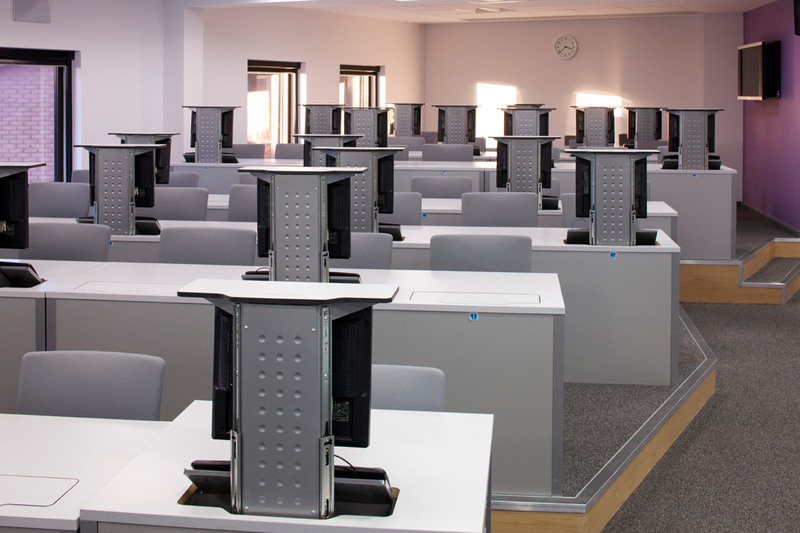 The 100 desks are split into four colour coded zones so four lectures or training sessions can be held simultaneously. 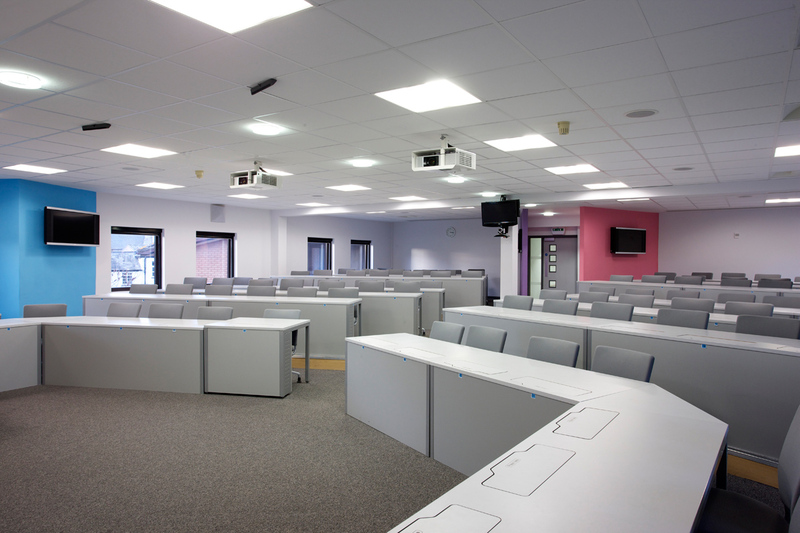 With the IT concealed, the room can be used as a standard lecture theatre or training room.